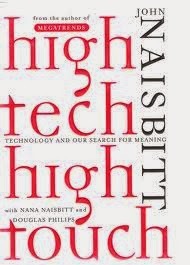 Anyone who has thought about the future knows about John Naisbitt, his creation of the concept of Megatrends, and his book about one of them - High Tech High Touch, a book which offers perspectives and insights on the interplay between technology and people. No doubt you have recently received a Christmas or New Year message from a total stranger who happens to be a so-called connection via social media. What we're these people thinking? High tech, no touch. 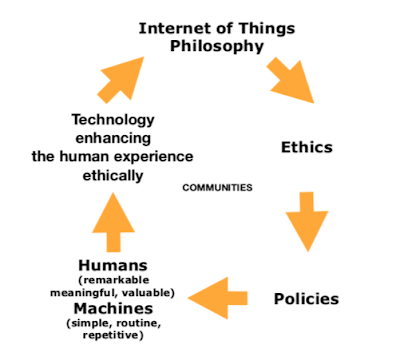 Technology is an ever increasing number of tools to assist you to live your best life and to do your best work in the service of others. That's it. The real game being played is human to human. Are you and everyone that you're really connected with winning? Being magnificently human lies at the heart of my new webinar series Remarkable is the new normal. I'll be online 4.10 – 4.50 pm Australian Eastern Daylight Savings Time February 2nd, 9th, 16th and 23rd, and March 2nd, 9th, and 16th 2015. Complimentary to Maverick Thinkers Studio members or you can buy your ticket here. Our theme at Maverick Thinkers Studio for 2015 is Reclaiming | Regaining | Sustaining our remarkability, because being remarkable is the new normal. Obama's rhetoric - what's in it for you? Empower yourself. What/who are you waiting for? Who will your performance partners be in 2015?